The National Highway Traffic Safety Administration states on average 150,000 new cars sold every year are “lemons:” cars with repeated, unfixable problems. These problems can range from small, seemingly insignificant issues including paint aberrations or radio trouble, to severe safety risks including engine, transmission or braking system problems. Vehicles from every manufacturer including Toyota, Chrysler, Ford and many more have such defects. The NHTSA works with companies to notify consumers of these problems, in campaigns ranging in size to include a handful of vehicles to several million, such as the ongoing Takata airbag recall. Consumers who unknowingly purchase a lemon car have ways to recoup their losses through both state and federal laws. Lemon laws enacted throughout the United States protect consumers who purchase defective vehicles, and lemon law attorneys know how to navigate these laws to get their clients the justice to which they are entitled. Lemon lawyers can also use the Magnuson Moss Warranty Act at the federal level to help seek justice for their clients regardless of what state from which their claim originates. There are several steps you can take to help your lemon law attorney get the best possible outcome for your claim. Take these tips in mind when you look for lemon lawyers and while they pursue your claim. The Magnuson-Moss Warranty Act as well as most state laws only apply to new vehicles, as those vehicles are still covered under the original manufacturer’s warranty. However, if you buy a used vehicle still covered by the original manufacturer’s warranty, you are more than likely still covered. When your new vehicle develops an unexpected problem, check the text of your warranty and make sure that particular problem is covered. Your lemon law attorney can also review your warranty along with other repair documentation and confirm that problem is covered. They know how state and federal laws apply to your claim and will act accordingly. When you take your vehicle to the dealership or their authorized repair location to fix a problem, take care when describing the problem. Don’t mention a specific component; simply say what symptoms the vehicle presents. For example, if you hear a squealing noise every time you apply the brakes, don’t tell the technician you have squeaky brakes. The problem may lie elsewhere in the vehicle’s systems, and mechanics eager to get you out of the shop may simply repair or replace the brakes without bothering to diagnose the problem in detail. Make sure they fix the problem, no matter how long it takes. Every lemon law claim must begin with notice to your vehicle’s manufacturer that you have a defect-related problem. Each state lemon law requires consumers to submit written notice stating the vehicle’s problem and when you first noticed it. You must send this notice via certified letter with a return receipt to the manufacturer’s nearest regional office listed in the documentation included with your vehicle. The sooner you send notice, the better. Make sure you bring a copy of the letter with you to the dealership when you bring the vehicle in for repairs, and be sure to keep a copy for your records. Rigorous, thorough and meticulous record keeping is only behind hiring a lemon law attorney in importance to your claim’s outcome. Regardless of your vehicle’s age, immediately begin documenting the vehicle’s problems. Document when you first noticed the problem, when you first took the vehicle in for repairs, how long it was in the shop and when you got it back. Also ask for copies of any work orders, detailing what work mechanics conducted on the vehicle and what parts they replaced if any. Your lemon lawyer will need these records when building and presenting your claim. Your dealership may not necessarily intend to deceive you, the manufacturer or the court, but they may be less than entirely honest when responding to your reports. Take written notes after every conversation. If you bring the vehicle in for a problem and their technicians tell you they can’t find anything wrong, make sure they write “No Problem Found,” or “NPF,” on the work order. That way your trip still counts towards the number of repair attempts needed for a vehicle to be considered a lemon. Also be sure the dates on repair orders are accurate, to make sure your vehicle meets certain statutory date limits for lemon law. State and federal lemon laws will declare a vehicle a lemon if it is brought in for repairs a certain number of times without success, or if it is in the shop for a certain amount of days. Use your meticulously kept records to build a timeline of your problems with the vehicle, beginning with when you purchased it and when your problems first began. Also keep track of what days your vehicle was out of service for repairs. This will help your lemon law attorney when it comes to getting your vehicle legally declared a lemon. 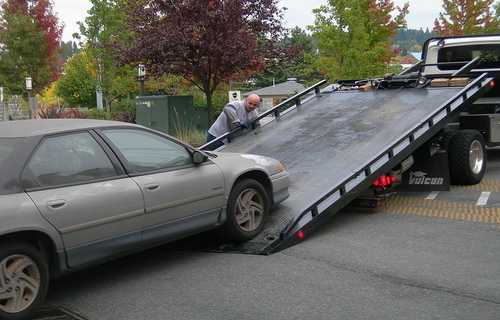 Having your vehicle in the shop for repairs is a hassle, disrupting your life and its normal rhythms. However, rushing repairs on your potentially defective vehicle won’t help. Every state’s lemon laws contain a provision stating once a vehicle has been out of service a certain number of days, it’s automatically declared a lemon. Hitting that limit will help your case. Less reputable dealerships may also rush your car out of the shop to avoid hitting the limit as well, putting you at potential risk if the problem involves a vital component. Every state in the country has a statute of limitations on how long you can wait to file a lemon law claim. Waiting too long can make it more difficult for your lemon law attorney to successfully pursue a claim. The sooner you begin documenting reported problems, notifying the manufacturer and contacting a lemon lawyer, the better your chances of a satisfactory solution. Every state lemon law provides for either repurchase or replacement. Speak to your lemon law attorney and they will help you decide whether or not you would be better served by getting your money back, or getting a new, functioning version of your lemon car. Most state lemon laws include compensation for incidental expenses such as rental cars, towing, sales taxes and governmental charges when buying a vehicle back. If your experience has shattered your trust in that manufacturer, getting your money back and taking it elsewhere may be your best choice. Lemon law attorneys know the ins and outs of state lemon laws and the federal Magnuson-Moss Warranty Act, and how to guide your claim to a successful end. The attorneys of Allen Stewart, P.C. have handled thousands of cases and know when a manufacturer is acting honestly and when they aren’t. Consumers representing themselves in court have a remote chance of succeeding against a multi-billion dollar manufacturer and its high-paid legal team. Allen Stewart, P.C. lemon law attorney Andrew Ross said speaking to a lemon lawyer is the best way to begin a successful lemon law claim and getting back on the road.